Cade Middleton started for the Vikings, allowing three runs and striking out four in the tough loss. In what was the final game for several seniors on the IMG Academy Black Ascenders team, it was only fitting that a trio of them starred in the final action of their high school careers. Tyler Esplin’s RBI-double in the first inning kick-started a three-run frame for the Ascenders and they never looked back. Brock Diggle’s solo shot in the bottom of the fifth added some insurance and senior Tyler Ahearn took to the mound for his final start and threw four scoreless innings to lead the Ascenders to a 5-1 home victory Friday night over the Bishop Verot Vikings. Diggle and Esplin are no strangers to the offensive spotlight. The two sluggers came in leading the Ascenders (21-5) with a combined six home runs and 40 RBIs on the season and had their fingerprints all over the three-run first inning. 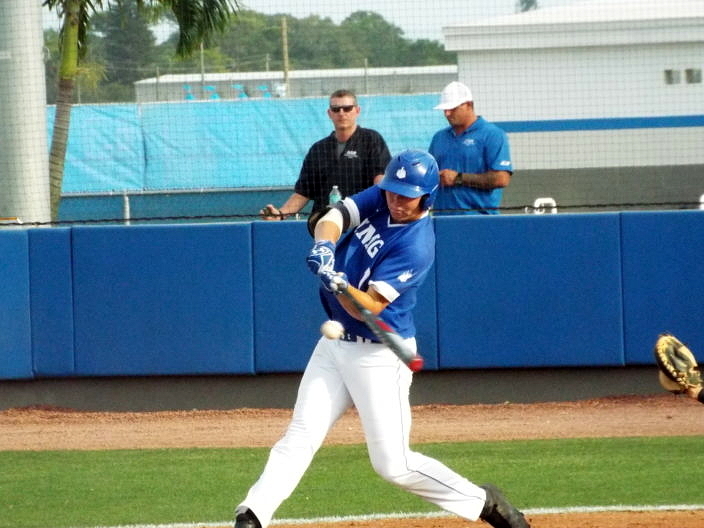 Esplin’s RBI-double, scoring Nick Arrivo, gave the Ascenders the 1-0 lead. Esplin came around to score the second run of the inning and Diggle capped the scoring by driving in Austin Bates for the third run of the inning. Cade Middleton took the tough loss on the mound for the Vikings, who came into the game winners of six straight, during which they surrendered just four runs as a team. Middleton struck out four and allowed three runs, all in the first. It was a tough game all around for the Vikings but they will live to play another day as they are poised to start the district tournament in a week’s time. That was echoed to the players by first-year manager Austin Flores after the loss. 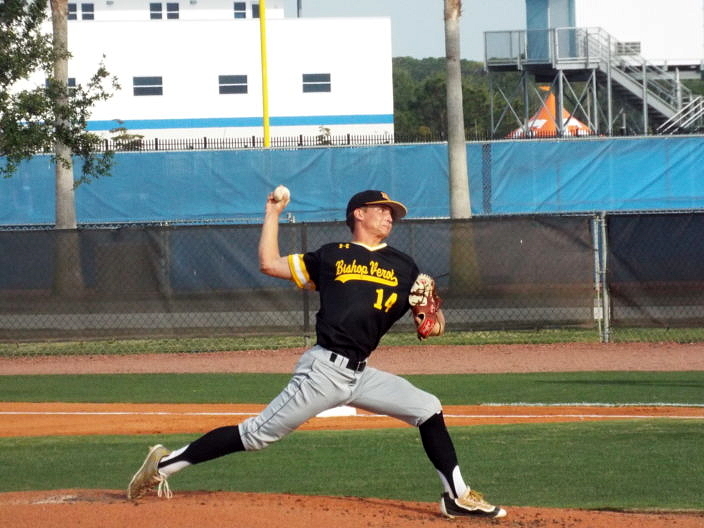 The Vikings (17-8) were shut out for the first four innings thanks to Ascenders’ starter Tyler Ahearn, who struck out four batters and walked just one in a very efficient four innings to pick up his sixth win of the year. Blaze Alexander broke up Ahearn’s no-hit bid in the top of the fourth with a blistering double to center field. Ahearn rebounded with back-to-back strikeouts to end the inning and strand Alexander at second. 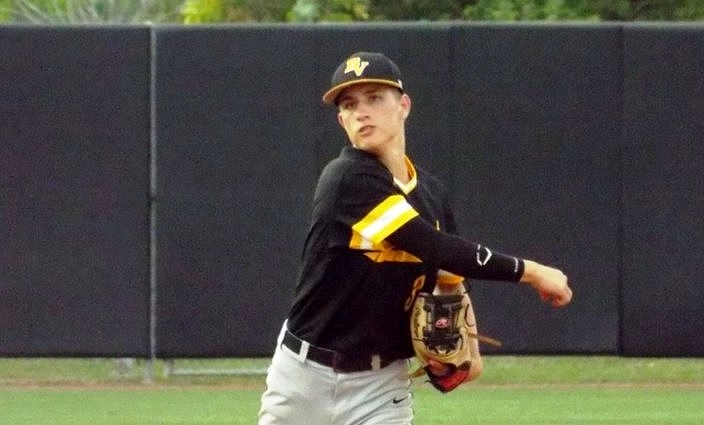 Ahearn, a Florida State University commit, was lifted to start the fifth inning and the Vikings finally broke-through for their first run of the game. After Michael Lemmerman led the inning off with a single, he came around to score on a sac-fy from the younger Thomas Lemmerman to close to within three runs. However, the Vikings did not score again in the inning, and in the bottom half of the fifth, Diggle collected his second RBI of the game with a monster home run over the right-field wall to increase the lead to four.